During the summer our skin gets exposed to some of the harshest conditions possible; UV from the sun, dirt from being outside clogging our pores, dry heat drying up our skin and everyday wear and tear. This is why it is important to protect our skin and keep it looking fresh and youthful to prevent aging damages that the summer may cause. For me personally living in Texas I find it hard to find products that don't feel sticky & leave me feeling gross during the summer months. I always find the problem that my moisturizer that works well during the rest of the year but ends up feeling too thick & oily for the heat of the summer. Perfect for the summer, Baxter of California solves the problem by providing protection from the sun & its elements. Founded in 1965 by Baxter Finley, Baxter of California since its inception has pioneered men's grooming products tailored to every man's needs. 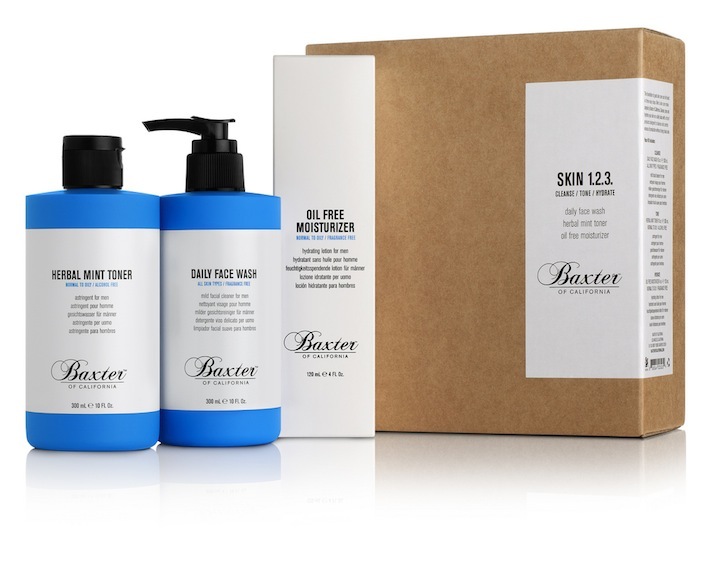 Fusing science & nature, Baxter of California provides a simple Skin 123 Kit that any guy can use in their daily routine. The kit comes with three products which are meant to be used together or separately; a Daily Face Wash, Herbal Mint Toner and an Oil Free Moisturizer. What I liked most about the products in the kit is that they cleanse, tone & hydrate all without leaving my skin oily & feeling as if I have a lot lathered on my face. The kit controls oil production without leaving my skin dry, also the moisturizer is oil free which means it won't leave your face looking shiny. Head over to BaxterofCalifornia.com now to check out their new look. If you've been to their site before you'll notice the new look and features like rating and reading other customers reviews of products and a whole section dedicated to grooming tricks, tips and videos.